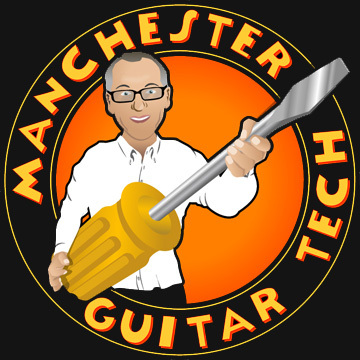 Gretsch mystery holes for location? When refretting this 1967 Gretsch Firebird, I noticed two small holes in the 14th fret slot and another two in the 2nd fret slot. I’ve never seen these before but imagine that they are for locating pins to ensure correct positioning of the fretboard when it’s being glued to the neck? There is not much as satisfying as a nice shiny refret! 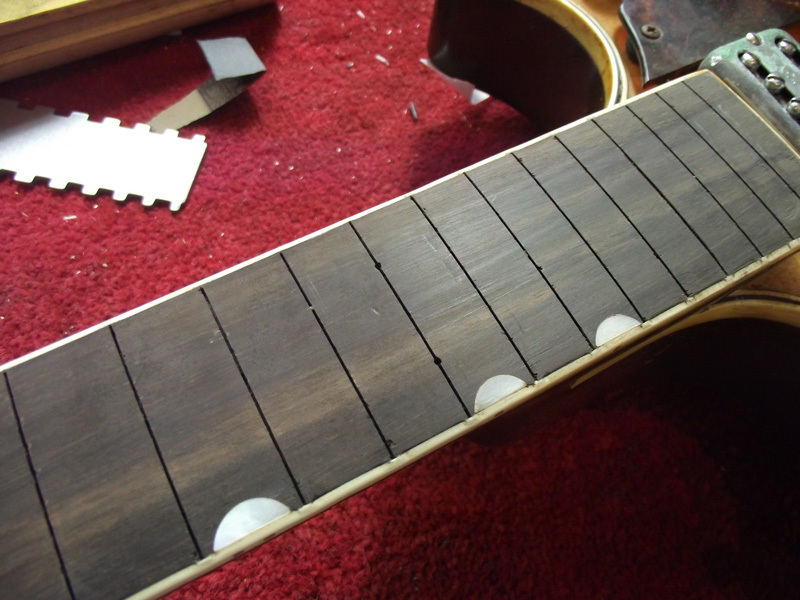 I think those mystery holes might have been drilled to inject steam to help remove the fingerboard (that was going to be replaced later) at some time in the past – just guessing but possibly to replace a truss rod. Holes made behind removed marker dots can be used but there aren’t any on a Gretsch. 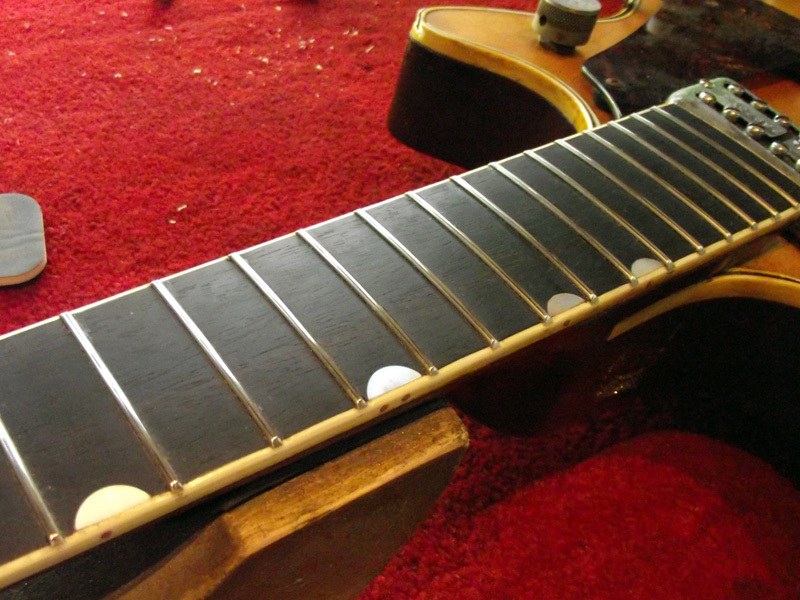 In this new video from Dan Erlewine he uses four pins this way to ensure that the fretboard doesn’t move as it is glued into place.